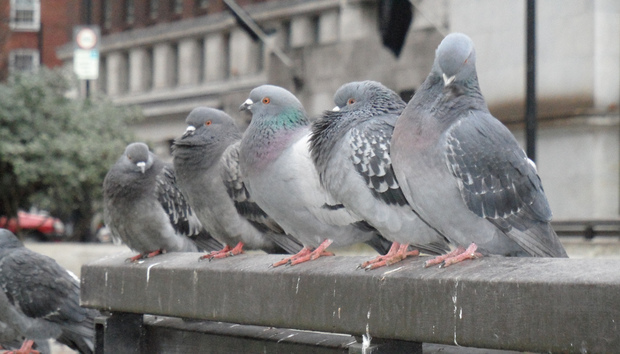 Pigeons & cyclists: Is there anything left to say about drones? The start of a new year is funny time in the technology arena. In amongst the sea of ‘hot’ predictions, the whole world is obsessed with CES. And yet as BBC tech US correspondent, Dave Lee, pointed out in his wrap-up over the weekend the focus of this show has changed vastly over the last 48 years. This has shifted into an event that is now “as much about spotting momentum rather than new products,” he wrote. So, what about drones? Well, one key highlight of CES 2016 was the people carrying one by EHang. This was a fun, if weird looking vehicle, and yet most significantly it was almost entirely pointless. Not only did it weigh in at a prohibitive $200,000 but it also proved pretty much illegal to fly anywhere. Drones really are trending wildly mind. In April last year we reported on the first commercial drone airport in North Dakota. This week TechCrunch reported the same news about a different airport in Boulder, Nevada. While my colleague, Dan Swinhoe, in a valiant attempt to add some sense into the mix, produced an excellent analysis last November on why commercial ambition and reality for drones don’t match up yet. Now, however, it feels like we’ve heard it all so many millions of times already. Military drones in conflicts? Philanthropic drones in disasters? Nefarious drones… everywhere? The real question may be: is there anything meaningful left to say about drones at all? Well, to test the waters, as white noise about EHang was raging across the internet, I popped up a call for comment to see what, if anything, was missing. The expert response was not overwhelming but we did collate a few interesting points of view. Thibaut Rouffineau, IOT Evangelist at Ubuntu clarifies that the regulation of drones means that “we really haven't touched mass adoption use cases of drones”. The tipping point will come when this takes place. Ideas which Rouffineau deems more likely includes farmers equipped with autonomous drones which survey their property every day and provide intelligence on where to irrigate, offer forecasts for when crops are going to be mature and deliver an early warning on any incidents. “Sporting venues and buildings will use a couple of autonomous drones, preventing pigeons from landing on the building,” he adds. Mark Caswell-Daniels, Lead Creative Technologist at SapientNitro believes “drones will become more useful as they become more autonomous”. He highlights the rise of 3D mapping of terrain – such as Google’s Project Tango – and says as technology like this becomes more prevalent drones will be able to fly themselves more accurately. “If a drone can recognise its wireless charging landing pad and stick to a route, then it could patrol a building searching for interlopers or check weather conditions for example and then re-dock to perform the same tasks as a static CCTV as it charges,” he adds. Founders at Neva Aerospace tell us that the next “real” drones will probably take the form of heavy-duty hybrids that can do “useful work”. These would include things like robotic arms shipped into hazardous, hard to reach areas – like oil rigs – to fix issues. While Abby Francis of Mobiles.co.uk envisages more prosaic everyday consumer uses. “Once these [regulatory] obstacles are overcome, we may see drones used for all manner of deliveries in urban areas,” she says. She suggests a move towards personal deliveries. “Running late to grab a morning coffee, perhaps it could arrive by Starbucks drones? Need a suit dry-cleaned ASAP, maybe it could be picked up and dropped off by dry-cleaning drones? Maarten Ectors, VP of Canonical, suggests the Ethereum platform could be used to allow smart contracts on drones, meaning they can be rented like Uber minute-by-minute. He describes this as “putting apps on drones in order to let people who rent them put an industry specific app on top.” This would allow architects to detect roof problems, train engineers to detect track problems and photographers to take specialist pictures at a wedding, he clarifies. For the time being though, the potential in drones is more-or-less fictional in the face of regulatory concerns. However, it does seem there is still a fair bit to say about their role in our future. Of course, only time will tell how this will genuinely play out in reality.